Fini greyhound broke both his hock and heel on the last night of greyhound racing here in Tucson, June 25. According to Dr. Nausley at Briarcrest Veterinary Clinic, both were fairly bad breaks. Yet, Dr. Nausley said the surgery went well and is confident that Fini will recover. Fini is moving into a foster home later today. Fini’s care and rehabilitation will be expensive. 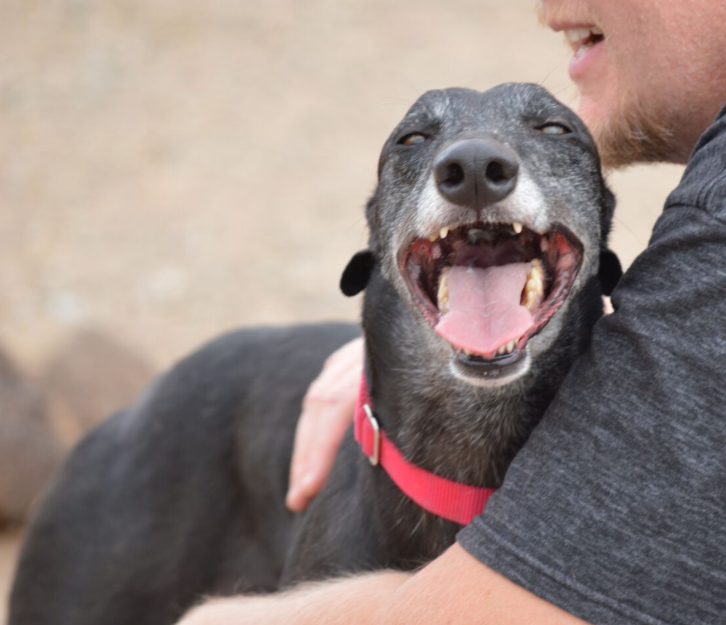 The real work starts as Southern Arizona Greyhound Adoption cares for 31 greyhounds; 22 greyhounds are available for adoption now, and 9 greyhounds are on medical hold. More than ever your help is needed to continue to support the hounds in this ONCE IN A LIFETIME CHALLENGE. 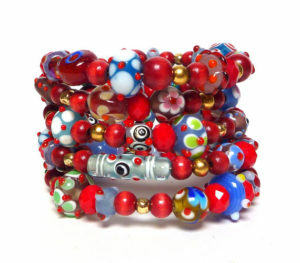 Please buy a bracelet or a half dozen bracelets during June. Please volunteer for foster care or to volunteer by transporting dogs to veterinary appointments. Please consider adopting a hound if the responsibility fits into your lifestyle. 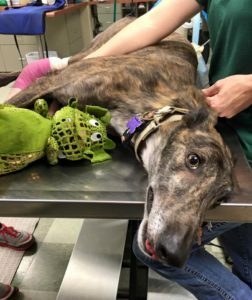 Please donate if you can whether to Southern Arizona Greyhound Adoption directly or to Briarcrest and add money to the SA Grey account. Can you hold a fundraiser for SA Greys? Help spread the word in our community and beyond about the challenges that Southern Arizona Greyhound Adoption faces right now. The rescued hounds thank you for your support.